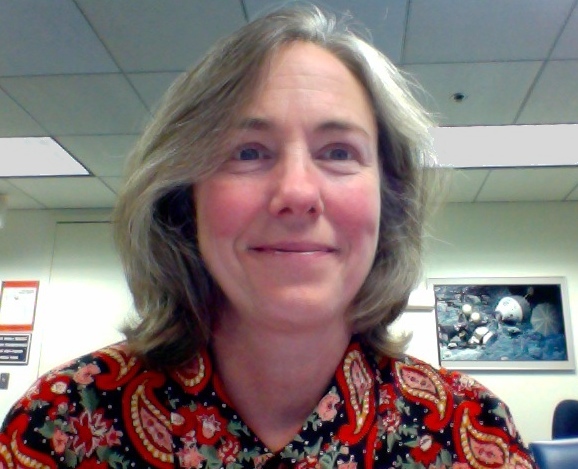 Susan Hoban is a Senior Research Scientist and Associate Director for Academics at the Joint Center for Earth Systems Technology, Associate Affiliate Professor of Physics, and Honors College Fellow (2011-14) at UMBC. My background is in the study of comets in our Solar System. Years ago, when I was teaching undergraduate astronomy, I began to wonder why the students had so much difficulty solving problems. As I unraveled the thread of that thought, I found myself working with high school educators, trying to help them better understand the processes of science so they could pass their understanding along to their students. Now I am funded to conduct STEM professional development (focused on the relationship between Science, Technology, Engineering and Math) for K-12 teachers and informal educators. NASA needs engineers. (In fact, so does America.) So NASA is taking an interest in developing an educational pipeline that will encourage more young people to consider engineering as a career. On four Sunday afternoons in January, UMBC’s “NASA’s BEST” team, where BEST stands for “Beginning Engineering, Science, and Technology,” brought robotics education to budding engineers in the Howard County Library’s HiTech Program. The UMBC team is comprised of me as the team lead, senior Kabish Shah (Mechanical Engineering), junior Psychology major Allie O’Malley, instructional designers Dr. Laurie Cook and Catherine Kruchten. Allie brought her brother, Jack, a senior at Mount Hebron High School in Howard County, because we needed all the helping hands we could find! Seventeen middle school students at HiTech designed and constructed small robots to serve as “seeing-eye robots” for NASA’s Curiosity rover on Mars. The robots are based on the Arduino microcontroller and include an ultra-sonic sensor to provide the capability for the rover to “see” obstacles and avoid them. The curriculum, called “NASA’s Engineering Exploration Training,” or NExT, uses the Engineering Design Process as its framework. 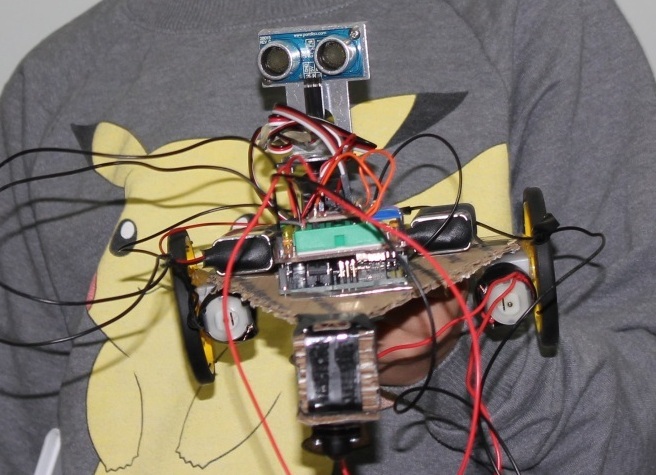 The young engineers get to design the robot themselves, so each robot is unique. The Howard County Library received so much positive feedback that they have asked us to come back and run the program again as soon as possible. We will do that, after we finish our February project – running this program at the Old Mill STEM Middle school in Anne Arundel County. 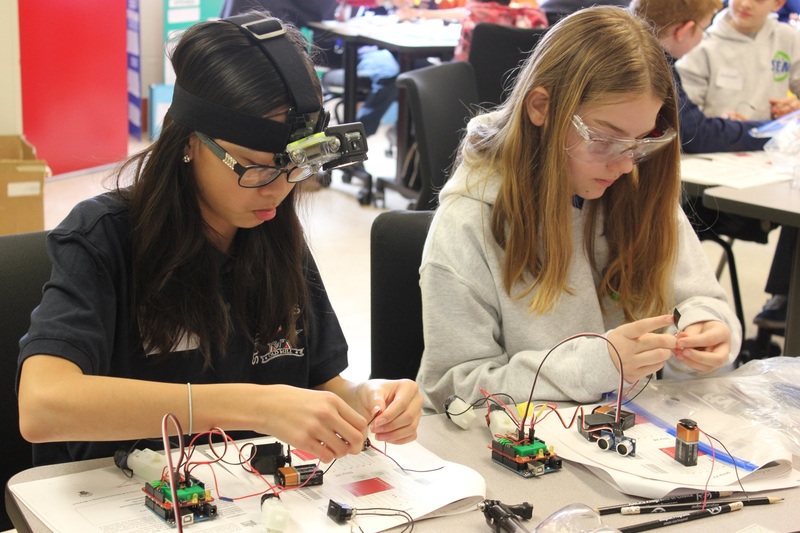 Engineers at Old Mill STEM Middle School connect the sensors on their robots. As part of the STEM program, we intorduced 100 young engineers to robotics each Friday morning in February, along with two all-day Saturday sessions. It’s truly a team effort. Kabish is the main instructor for the course. This is Kabish’s first time in this role, and he is a natural! His passion for engineering shines through, and he has a wonderful way with the kids. Allie developed the wiring guide and helped Catherine prepare the instructional materials. After joining the NASA’s BEST team, Allie has decided to become a teacher, and she is getting real-world experience working with these youngsters. Laurie, Allie and Kabish spent hours and hours soldering. Jack was invaluable during the sessions, running from table to table helping with wiring, connecting sensors and assembling chassis. As team leader, I try to keep track of everybody. NASA’s BEST is funded by a grant from NASA’s Human Exploration and Operations Mission Directorate. Contact the author, Susan Hoban, at hoban@umbc.edu. Stephen Bradley is an Associate Professor in Visual Arts at UMBC. Masonville Cove is 70 acres of water and 54 acres of cleaned-up wetlands, nature trails, and a protected bird sanctuary, on the Middle Branch of the Patapsco River in Brooklyn-Curtis Bay, Baltimore City owned by the Maryland Port Authority. At this former industrial and then abandoned area in south Baltimore, local residents and schoolchildren (from Brooklyn, Curtis Bay, and Cherry Hill) can now connect with their natural environment and participate in environmental stewardship projects through the Masonville Cove Education Environmental Center, a joint project with the Brooklyn and Curtis Bay Coalition (Baybrook), the Living Classrooms Foundation, and the National Aquarium in Baltimore. My UMBC students and I have been working with students at nearby Benjamin Franklin High School, creating art projects rooted in the community, including animated films documenting debris found in the neighborhood near Masonville Cove. In late February 2013, I met with the Masonville Cove Environmental Education Center (MCEEC) staff to discuss a mural project for the base of a storm drain near the Masonville Cove Environmental Education Center main building. We enlisted a group of UMBC, Towson and Benjamin Franklin High School (BFHS) art students to design the project and execute the mural during the MCEEC annual Environmental Festival held in mid-May. The most important aspect and at times the most challenging was maintaining the high school students’ focus on the design process of the mural that required critical discussions about the content and the style of the mural. At the same time it was important not to squash the creative process or to be discouraged by the various obstacles we faced during each visit to the high school. 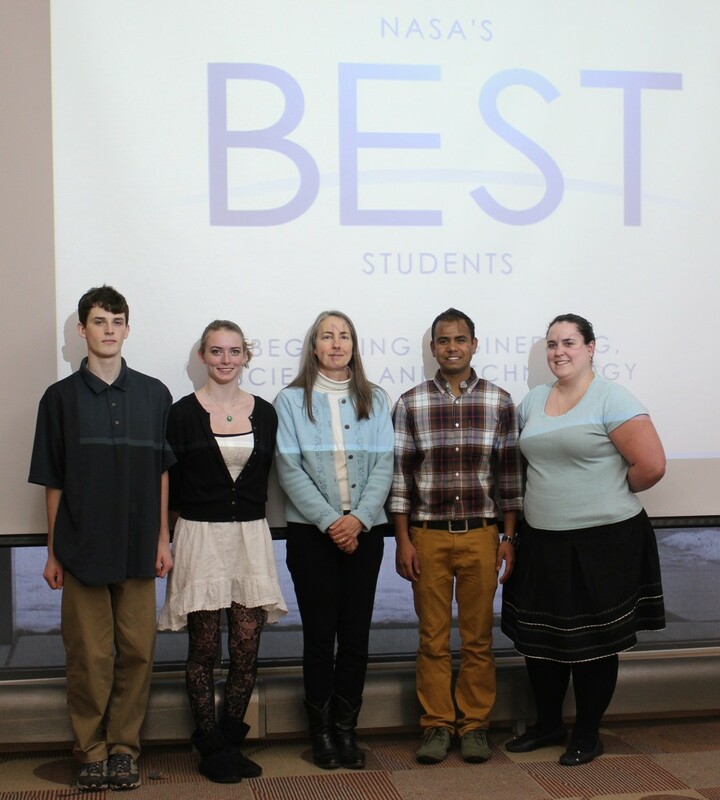 The other challenge for the university art students was how best to mentor the high school students. These students often have an unusual level of stress in their lives, which is partly normal for most high school students, but in this community the levels of stress are abnormally higher due to the numerous challenges the community faces. Every Friday morning for two months, a handful of UMBC students worked on the design and painting techniques for the mural. This also involved a site visit to MCEEC to photograph the location and to learn about the mission of the environmental center. Students worked on various designs for the mural that would remind the visitors to MCEEC of the fragile ecology of the place and to improve the visual landscape. We began with general guidelines and ideas from the MCEEC staff, then presented the ideas to the BFHS, UMBC and Towson students. They enthusiastically began to work and soon had a series of drawings and small paintings that we presented to MCEEC. They gave us feedback for modifications. Through this process the university students discovered that it was helpful to create smaller creative brainstorming sessions that mentored the students through their stress who were able to return to the design process with a fresh start. On May 20, we began painting the mural in stages. Our team worked for two solid days but had to postpone the final stage due to stormy weather. The university students found themselves talking and making art with the BFHS students working through their anxiety and contending with other obstacles they face in their lives. Once the students worked through these issues, they were able to move to the task of designing the mural. By June 15, with the assistance of two dedicated UMBC students and myself, we completed the mural. The project gave the BFHS students confidence to show that they can improve their neighborhoods. The UMBC and Towson students learned that the creative process can be a catalyst for civic agency. Contact the author, Stephen Bradely at sbradley@umbc.edu.